Short Articles on Specific Educational Topics. 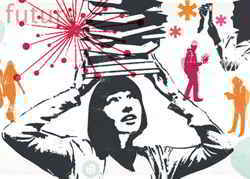 A directory of higher learning articles relating to education. These education topics are short articles on specific education topics that would interest prospective students and working adults who wished to continue their education. Topics include education, getting a college degree, culinary school, online MBA, campus-based versus distance education, legal education, financial aid, and more that you can use to continue your professional development. Browse or search for academic articles online for information on education, colleges, trade schools, financial aid and other topics, plus an extensive directory of colleges. Just How Are You Going To Pay For College? Can you help your career with an MBA? Can you increase your income by pursuing an MBA? What's an MBA Worth to You? What's an MBA Worth to Your Career? Business School at Your Fingertips: Press the right buttons for an online MBA. Pen to Paper or Fingertips to Keyboard: Should you learn actually or virtually? Are You Tough Enough for Culinary School? What's standing between your child & better grades?